Car accidents can be extremely traumatic events that often leave both parties feeling stressed, overwhelmed, and shaken. This is emphasized even more so if there are injuries involved. While there are no positive circumstances in any crash, some types of car accidents are more likely to lead to physical and emotional injury. The type of car accident you were involved in can help to determine which driver is at fault and thus how the claim should be handled. This is also vital information if one party is seeking compensation for injuries and emotional distress. 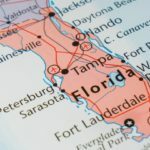 The most common types of car accidents in Florida are listed below. When one car follows too closely behind another car, or the driver in the car ahead suddenly stops, a rear-end collision may occur. Crashes like these are common on the highway, when traffic can become hectic and drivers are stopping and accelerating frequently. Rear-end collisions are commonly not extremely damaging, as the majority of these accidents occur when the cars are moving at under 30 miles per hour and the crash is low-impact. The best way to prevent this is to keep a safe following distance between your car and the cars in front and behind you at all times. Tailgating, even in slow moving traffic, only puts yourself and others at a higher risk. Vehicle rollovers are often the most dangerous type of automobile accident that can occur. While cars can roll over for a number of different reasons, the injuries that result are often catastrophic and life-changing. A rollover accident occurs when a vehicle turns over on its side or roof. This type of accident can occur when an automobile is trying to turn too fast while driving at a high speed. Often, it is the result of swerving out of the way of a person or object while driving on the highway, or turning on to a road too quickly in rainy or snowy weather. Although a vehicle’s structure has a significant role in this type of accident, the biggest factors include the driver’s behavior, road type, and environmental conditions. Other factors include speed, alcohol consumption, and location. Side-impact collisions, also referred to as T-bone or broadside collisions, occur when the side of one or more vehicles is impacted during a crash. Most commonly, these accidents occur at intersections, when one car runs a red light or stop sign or takes a left turn without yielding to oncoming traffic. Since the majority of side-impact collisions are caused by the negligence of the driver, these types of crashes can often be avoided by following all traffic laws. Take extreme caution when driving around intersections, and watch out for any signs that a driver may not be paying close attention to signs or cars around them. Whenever you are merging, or a car is merging around you, you are at risk of being sideswiped. These types of car accidents are most often caused by the merging driver’s negligence to check all blind spots before merging. In order to avoid these types of crashes, it is imperative to always look around the area you are merging towards and check blind spots before changing lanes. It is also important to not speed – particularly when cars are driving on either side of you and will be merging. By speeding, you could make it more difficult for other drivers to properly see you when checking their blind spots. This type of accident occurs when the front ends of two vehicles hit each other while driving in opposite directions. Head-on collisions are the most dangerous type of automobile accident, and often result in serious injuries or fatalities. This is mainly due to the speed at impact being approximately doubled when the automobiles are coming head-on at each other. It is very important for car drivers to pay attention at all times and to think of what may happen if something goes wrong. Traffic signs and road markings have been designed to guide drivers properly to avoid head-on collisions, but drivers need to avoid other distractions, such as cell phone use, and eating or drinking in the car. Never attempt to follow the fleeing driver or leave the scene before help arrives. Ask all witnesses for their personal information and, if they are willing, to give a police statement. The official accident report will help police look for the missing driver and will be useful when you file your accident claim, so the more information, the better. As always, seek medical attention right away, even if you do not feel any prevalent pain. While the most common car accidents involve two or more vehicles, accidents which only involve your car do happen. For example, if you swerve in the road to avoid hitting an animal, and end up hitting a fire hydrant instead. However, there are circumstances in which a driver may not be found liable for a single-vehicle crash. This happens when the accident was not caused by a driver’s error, but instead by a design flaw in the vehicle, defective auto parts, or poor road maintenance. Vehicle defects – Cars often have manufacturing defects which can lead to faulty breaks, poor alignment, or other faults. If a vehicle has a design flaw such as a malfunctioning ignition switch or a dashboard which cannot withstand the sun’s rays, the vehicle manufacturer may be held responsible for the accident and be liable for damages. Defective auto parts – Similar to a design flaw in a vehicle, parts may be the cause of a crash. If one of the parts of the vehicle suddenly malfunctioned and led to the driver’s loss of control, the part manufacturer or vehicle manufacturer may be found liable. Poor road design or maintenance – This may include a faulty stop light, missing guardrails or street signs, or construction objects in the road that should not have been there. If the accident was caused by a road design or maintenance defect, the municipality, road maintenance crew, or another agency may be a liable party. 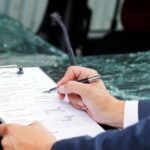 There are many variables involved in a solo vehicle collision, so it is always best to not admit fault, and speak with an attorney before settling with the insurance company. While low speed impact car accidents are the least dangerous, they can still cause damage and emotional stress. These fender-benders normally occur at stop signs, stop lights, in parking lots, and neighborhoods, at speeds under 10 miles per hour. Make sure not to speed, especially when driving through low-speed areas like parking lots and neighborhoods. Always keep an eye out for pedestrians and animals while driving through these areas as well. Intersections have been described as one of the most complex traffic situations that motorists, pedestrians, cyclists and, of course, automobiles encounter daily. 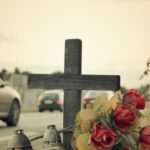 Intersection crashes are one of the most common types of crashes and the costs of injuries caused by them can stack up quickly. Rear-end crashes – often occurring because a following driver is distracted and does not realize the lead driver has stopped. Side impact collisions or “T-bones”. These types of accidents typically involve a driver on one side running a red light, be it intentionally or while trying to make it through an intersection before a yellow light turns red. Side-swipe collisions where one or more vehicles are turning. Collisions into vulnerable road user such as pedestrians and cyclists while turning. It is important to always be aware of your surroundings when approaching and leaving an intersection. If you are involved in an accident, drive through the intersection and pull over to a safe location. Crashes in parking lots often occur while drivers are backing up, so it is important to take extra care when reversing, or when driving close to cars that may be reversing out of a parking space. Avoid speeding in parking lots, and always check your surroundings for other vehicles backing out prior to exiting a parking space. It is important to take every preventative measure in order to protect ourselves and those around us while driving. If you were involved in an accident caused by a negligent driver, an experienced attorney like Justin Weinstein can work to ensure that you receive the compensation you deserve. Contact our office today for a free consultation, and find out how we can help.